Southgate Glass sells, services, and installs glass, screens, windows, patio doors, French doors, entry doors, shower enclosures, and replacement parts. We have been in business since 1961, providing quality service and beautiful products for residential and commercial projects throughout the Greater Sacramento area. Feel free to stop by our showroom in Carmichael, CA or give us a call for a free quote at (916) 480-0303. Southgate Glass offers gorgeous window and patio door options from Milgard in a variety of materials including vinyl, fiberglass and wood. We only sell AAMA Certified Windows, and our lead installers are AAMA certified. We are A+ Rated with the BBB. We would love to help you with your next glass, window, door, or window covering project! Southgate Glass is rated 4.8 out of 5 by 46. Rated 5 out of 5 by Jim13 from Great job - outstanding product and installation. We replaced 12 windows and two big sliding glass doors in my 16 year-old home, as many of the (cheap) originals has lost their seals and had become foggy and of little insulating value. The new windows look great, feel solid, slide effortlessly, and I can already notice the improved insulating quality on these 100 degree days. The installation team was particularly outstanding. Eduardo and his helper were extremely polite, helpful, hard working, careful and absolutely meticulous in their attention to detail. They were simply perfectionists., clearly taking great personal pride in their work. Very pleasant to work with, and very good about cleaning up as they went along and at the end of each workday. I would give this company my highest recommendation! Rated 5 out of 5 by Lucie47 from Patio Sliding Door The Southgate sales team and installation team are great! Had an issue with Millgard manufacturing the incorrect door causing a delay and some frustration. The end product is lovely, however, do not expect much in the way customer "satisfaction" from Millgard if they make a mistake Clearly Millgard's mistake and without much consideration, or even an apology for delaying the completion of the job. The end product is fine, just be prepared for delays due to Millgard's "earned" reputation for this kind of thing. Rated 5 out of 5 by Kennethmk from Great Price, Great Installation, and Great Look Southgate Glass went above and beyond my expectations and were extremely helpful in updating our windows and slider to double pane. Brian Simas was very thoughtful and knowledgeable when walked us though the process and the install team led by Eduardo were absolutely top notch they were very respectful and flexible while also being proficient and efficient. 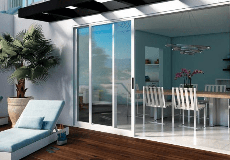 Rated 5 out of 5 by pdub from Excellent Product My entire family loves this patio door! The installation was professionally done, precisely on schedule. This is the 5th time I have used Southgate Glass and honestly I cannot imagine using anyone else. Rated 5 out of 5 by AKT6 from Great New Windows I replaced six existing windows with new Milgard Ultra fiberglas framed windows in my 36-year old home. Some of the old windows had lost their seals resulting in some fogging in the windows. The old aluminum frame color had faded and obviously needed replacement. I also knew that new windows would give me better insulation/energy efficiency. Jim Bollar clearly explained all of my replacement options and all the steps and costs involved. He prepared a very complete project package that included window details, estimated costs, and a projected installation schedule during our meeting. Jim was friendly and answered all of my questions. Mitch and Aristio performed the window replacements. They did a great job removing the old windows and installing the new windows. They were careful about their work and there was minimal disruption inside my home. There was some minor impact on some of my shrubs in front of the windows but that was really unavoidable. The job took three days and they showed up promptly each day. Some minor dry rot was found on a couple of the windows. Mitch carefully explained the change order work (and its cost) that was needed to repair the dry rot and complete the new window installation. I agreed with Mitch's proposed repairs and provided my authorization. I am very happy with the Milgard windows I chose and Southgate's installation of them. They look great, especially compared to neighborhood houses that still have the old original windows.